Spread the aura of freshness with this capricious maroon colored designer kurti. 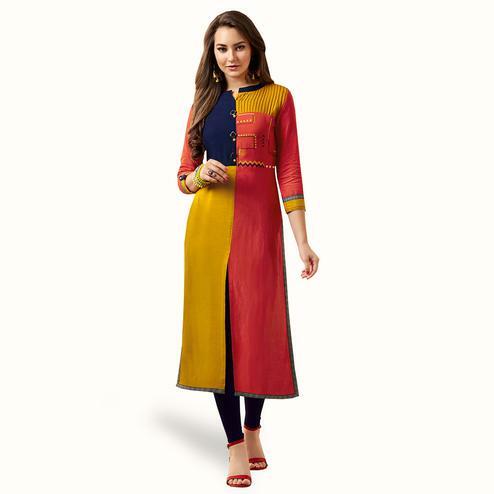 This long kurti is made from rayon fabric beautified with keyhole neck. 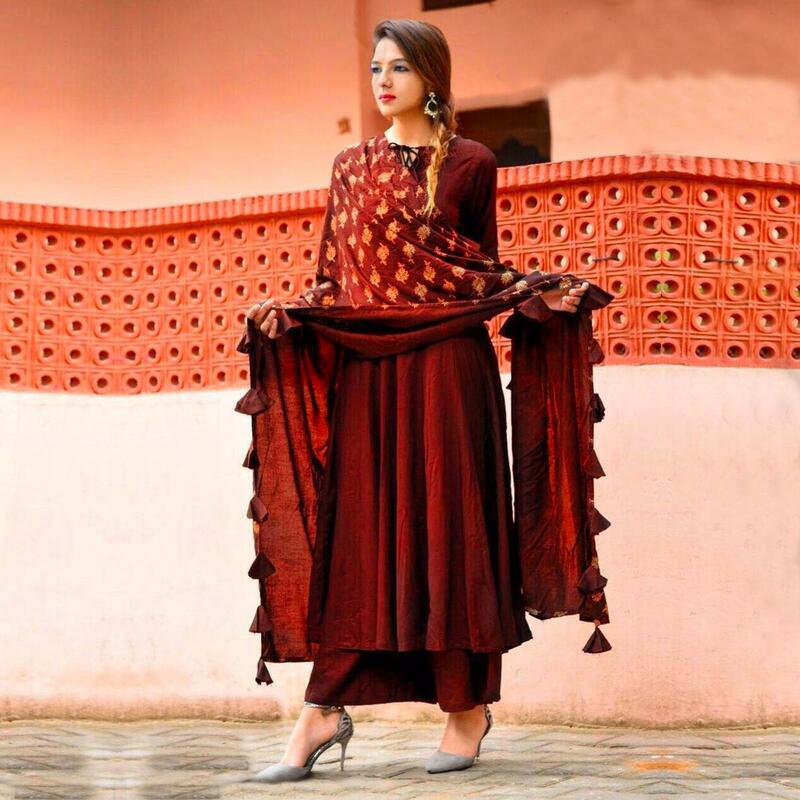 Comes along with rayon dupatta with tassels border and print, which make your look more attractive. 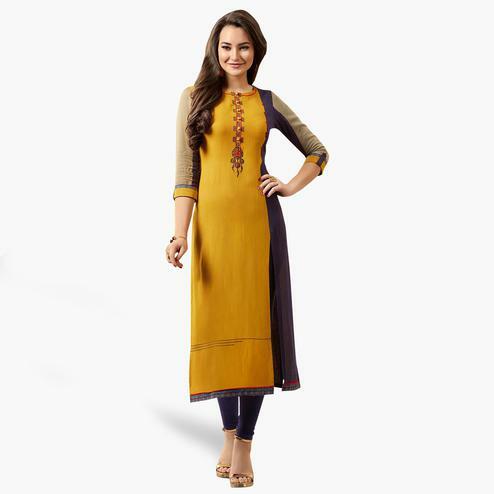 This ready to wear kurti is perfect for casual outing, weekend get-together, parties as it's comfortable and durable. Pair it up with palazzo to create a contrasting effect, along with heels & stylish accessories. 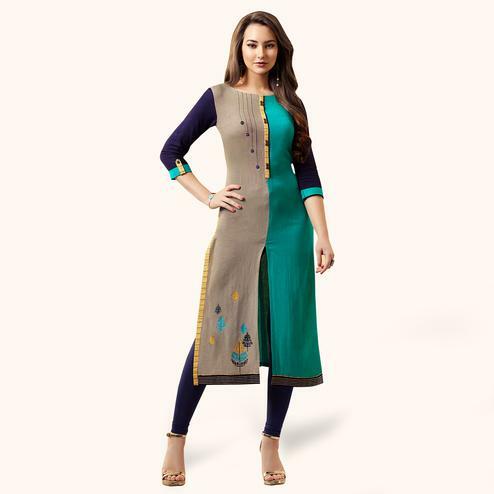 This party wear kurti won't fail to impress everyone around you. 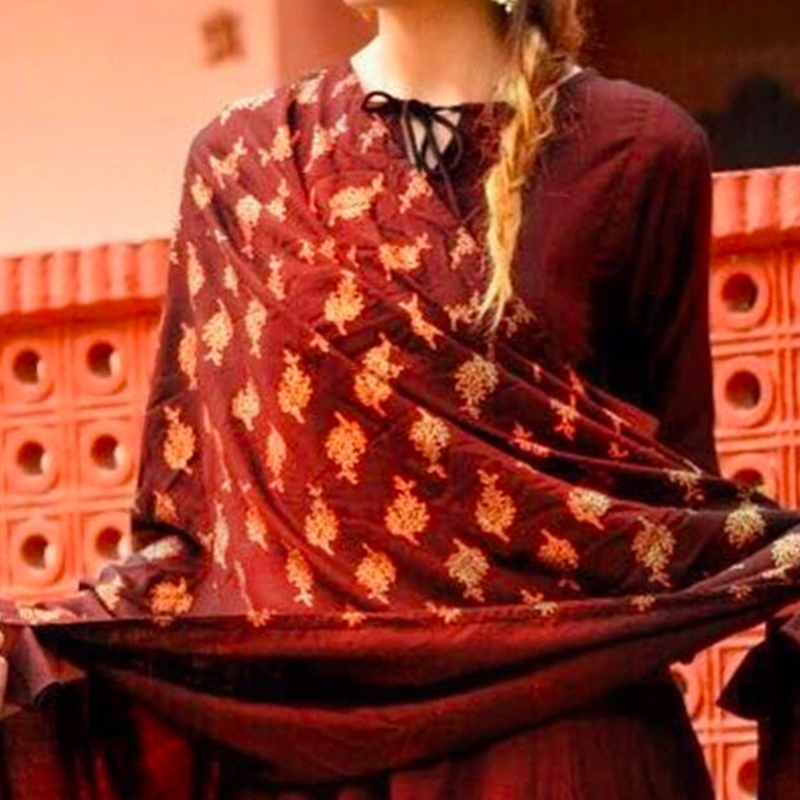 Please note this package includes only kurti & dupatta. Bottom is not included. Length Chest - XL (Upto 42 Inches).